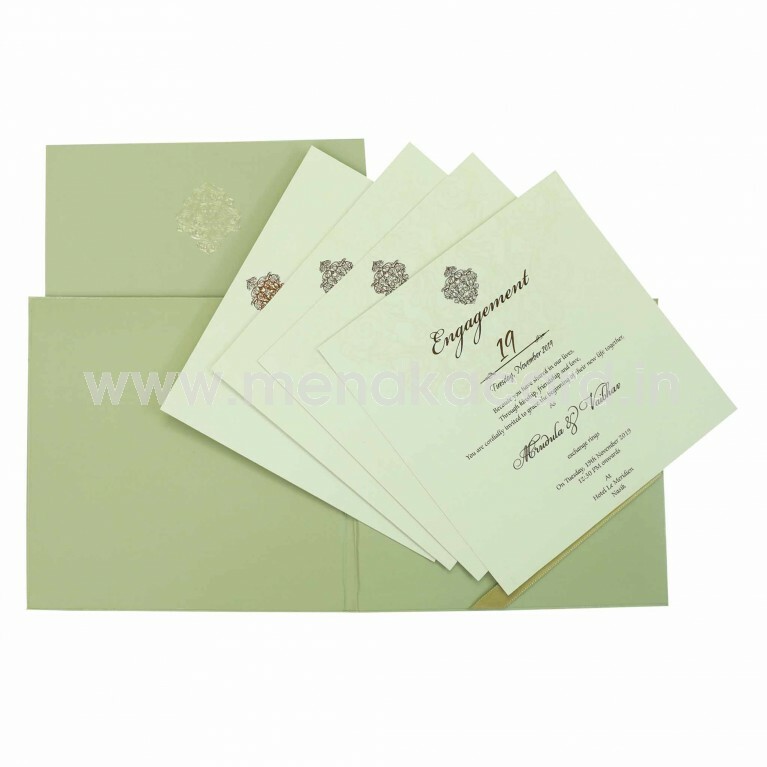 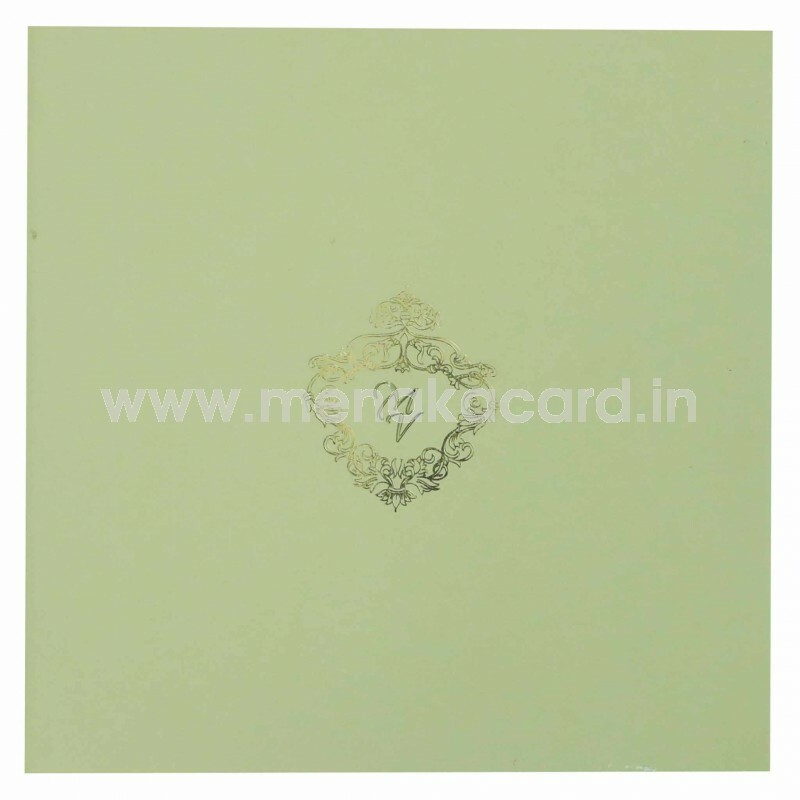 This padded charming grey green book folding card is made from a matte art board. 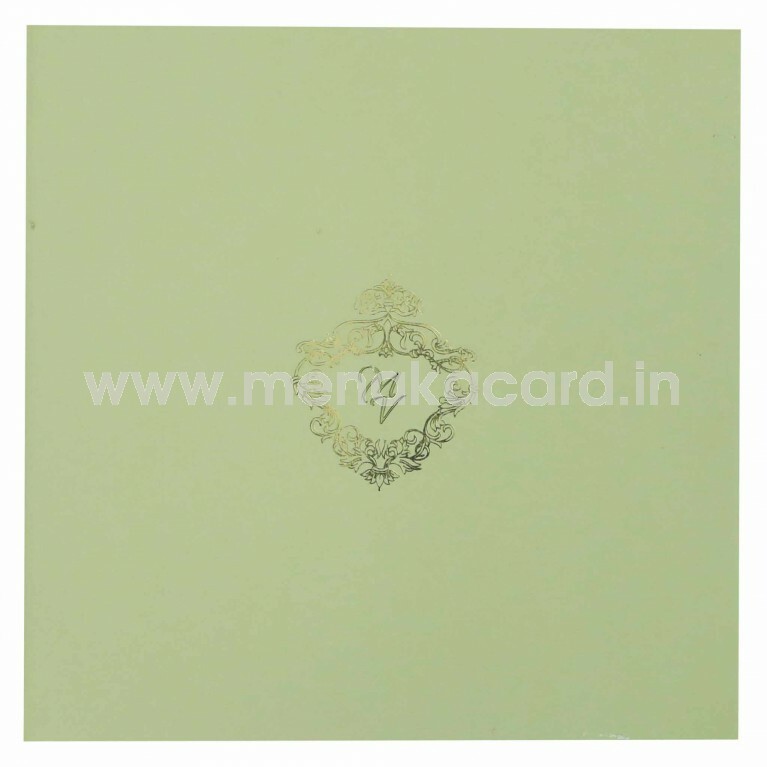 The front of the card is decorated with a dainty gold foil pattern around the centre of the card that frames the names of the couple over gold lancer initials at the centre of the card. The inserts of the card are held in place by a grey sash pocket at the right-hand side, made from the same materials as the rest of the card and has text printed in contrasting text. 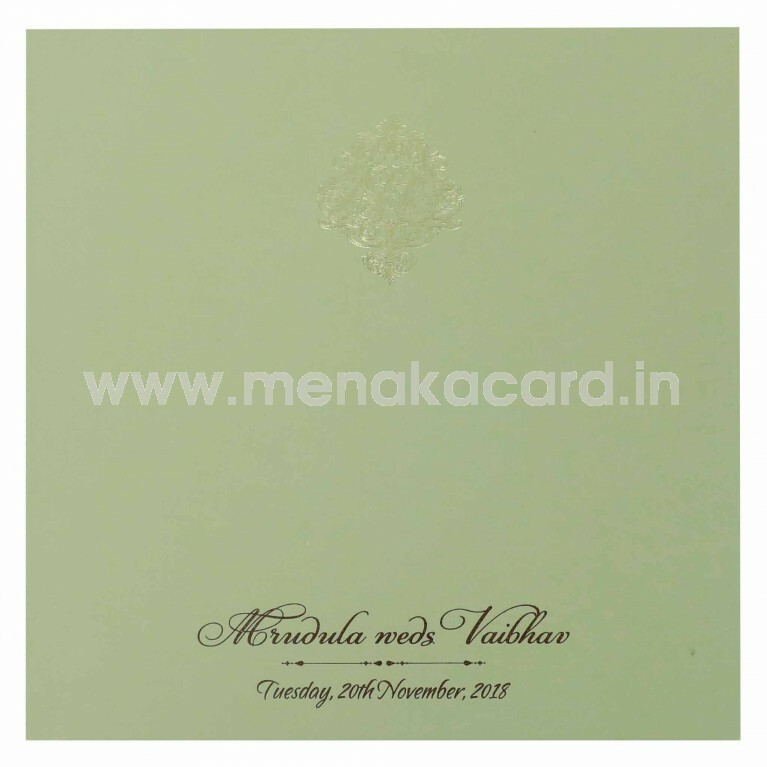 This can be used for Christian, Hindu, Muslim and Multi-faith weddings that require grandeur with fun.